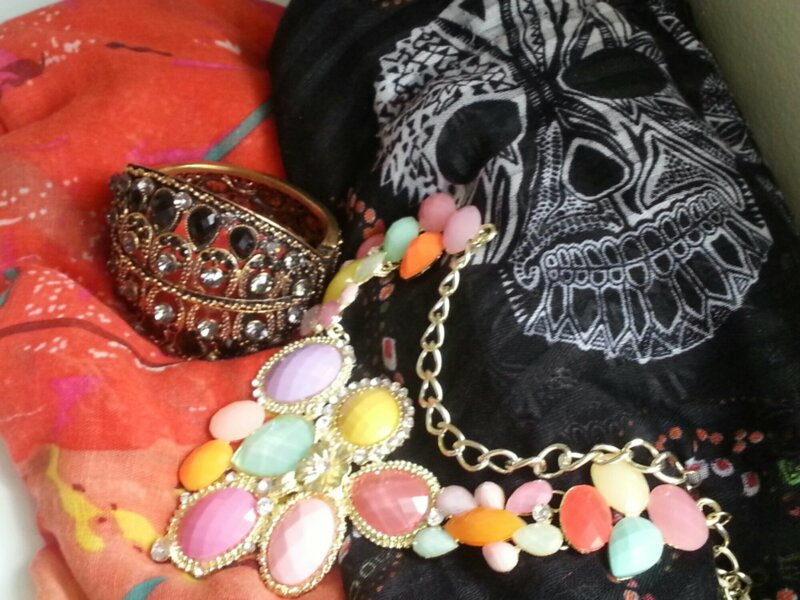 Continuing on from my previous holiday haul, I wanted to share with all of you the gorgeous fashion and accessory buys I made. Nerja had a variety of stunning traditional Spanish boutiques on offer and I loved browsing these adorable stores and finding stunning and one of a kind pieces. One huge trend that lined the streets of Nerja is the stunning printed scarves. I found it a little over whelming as there was a huge selection of scarves to choose from and it was hard narrowing it down. (Unfortunately, there is a little thing called (‘Baggage Weight Restrictions’). I wanted to buy ones that reflected my personal style and personality. 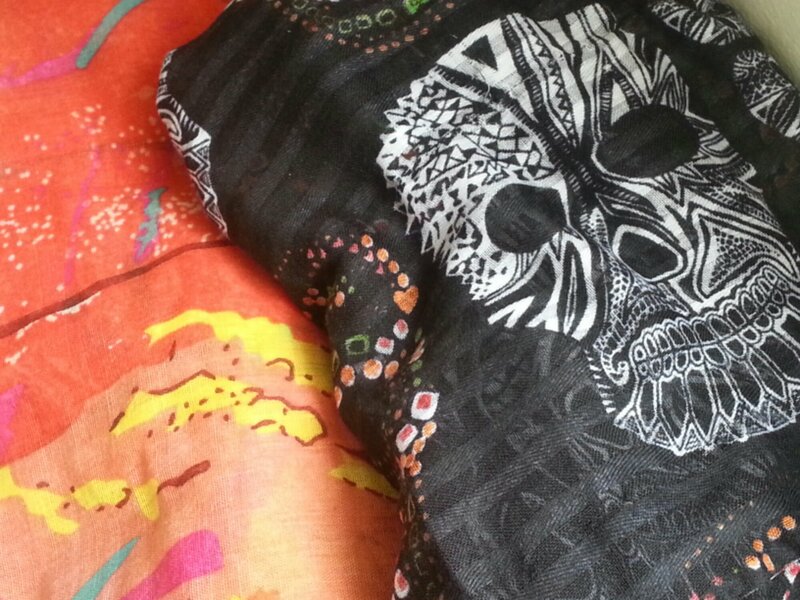 I opted for this beautiful vibrant print scarf that is a coral based piece with yellow and green running throughout it. 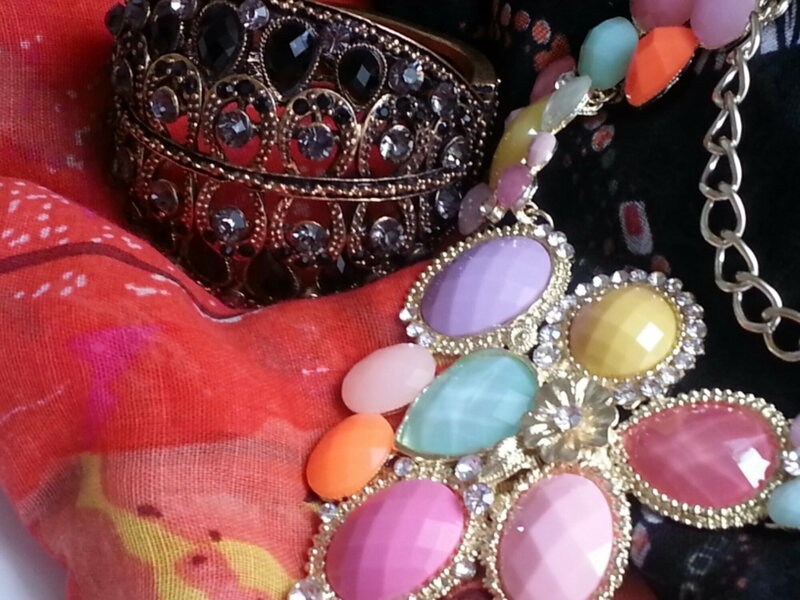 I love bright and vibrant clothes and accessories, I find they work best with my skin tone. 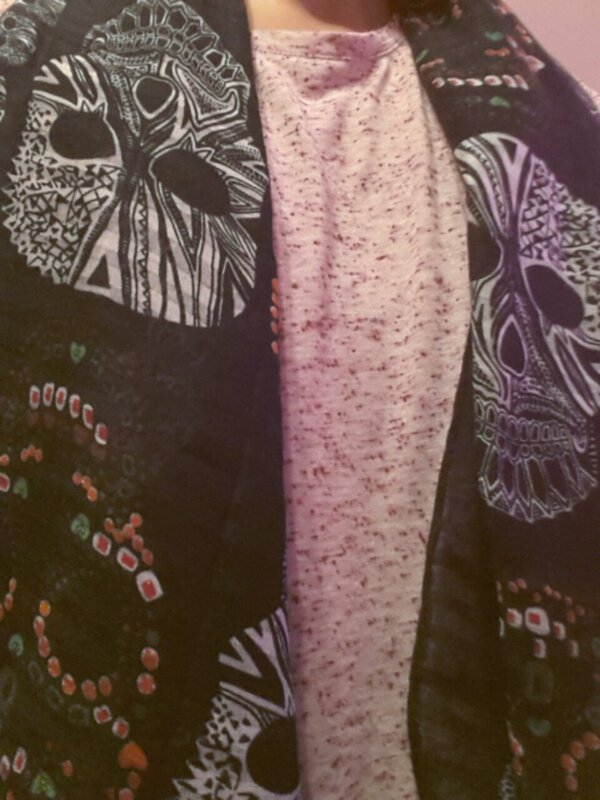 Next, I purchased this fabulous skull print scarf. It has pops of coral throughout it. The funky design is definitely a reflection of my personality. 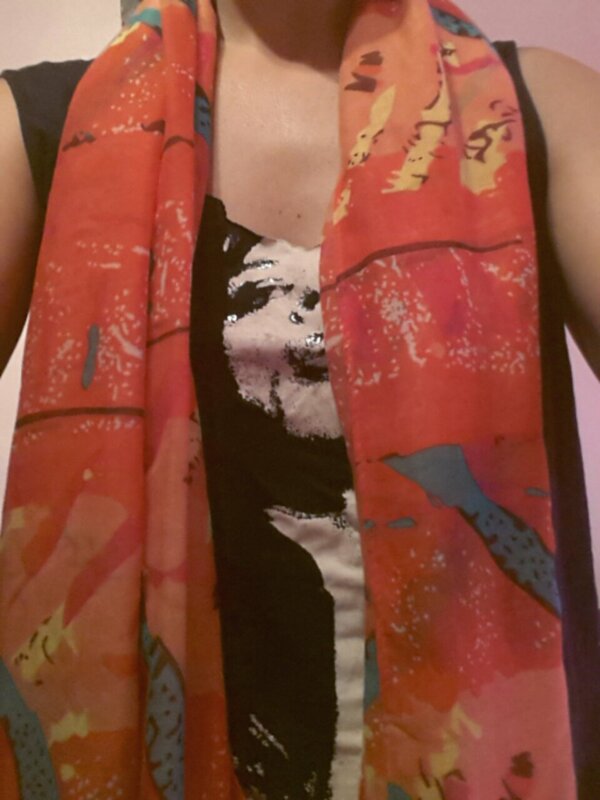 I love the rock ‘n’ roll style and this scarf will be the perfect addition to my wardrobe. Now onto the bling! There were a lot of handmade pieces in each of the boutiques and I had a ball trying them on. 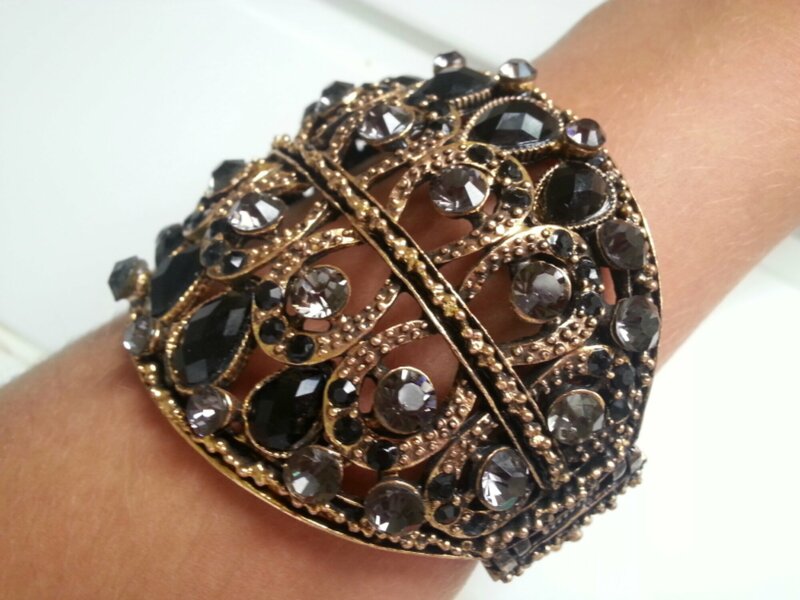 My first purchase was this magnificent rusted gold and black diámante cuff bracelet. As soon as I tried it on, I immediately fell in love with it. It’s quite a big statement piece and I bought it for an amazing €12! I was loving the purse friendly prices in Spain, I could really get use to it. luv the coral scarf niamh very you.